Themify Parallax is a single page WordPress theme that supports parallax scrolling effects. It comes with 40+ predesigned layouts to choose from and is a perfect theme for creating portfolio sites. In this Themify Parallax review, let’s take a look at its features and figure out if it is the best single page WordPress theme for your site. 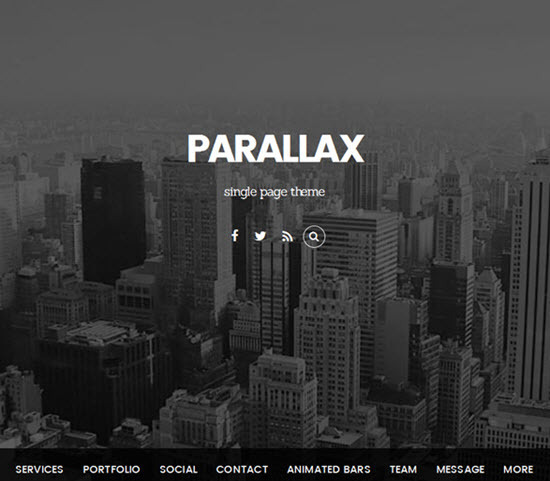 Parallax helps you to create a single page WordPress theme almost instantly. With its instant demo creator, you can import the demo content in just a single click. The theme is also bundled with Themify Builder, a drag and drop builder that lets you create any sort of website without having to touch a single line of code. Let’s take a detailed look at its features. You can easily get awesome parallax scrolling single pages by importing any of the predesigned layouts. Parallax scrolling helps you to move the background content at a different speed than that of foreground content when your visitors scroll down a page. After importing the layouts, you can replace the text and images to make it unique. You can also choose from a wide variety of skins to change the color palette of your theme. Themify Parallax comes with two custom post types: Portfolio and Team. Portfolio: This custom post type lets you showcase your multimedia work. It supports videos, images and gallery sliders. Team: This custom post type allows you to add your team members. You can also categorize them based on job titles. Themify Parallax supports many post layouts. Aside from the full-width layout, you can choose layouts like list post, grid-4, grid-3, grid-2 and grid-2 with thumbnail. 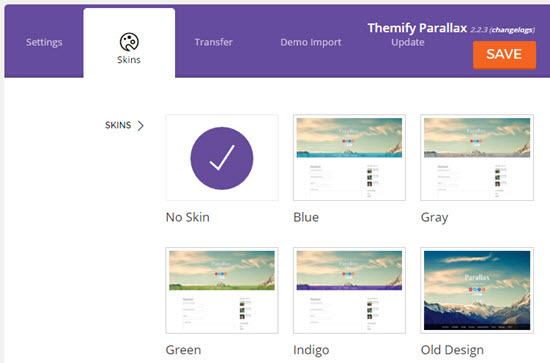 You can choose the right layout by navigating to Themify Parallax » Themify Settings » Settings » Default Layouts. The theme supports a single sidebar. You can display the sidebar on either the left or right hand side. The theme also supports three footer widget areas. In the theme’s Widgets page, besides the sidebar and footers, you can find a Social Widget as well. 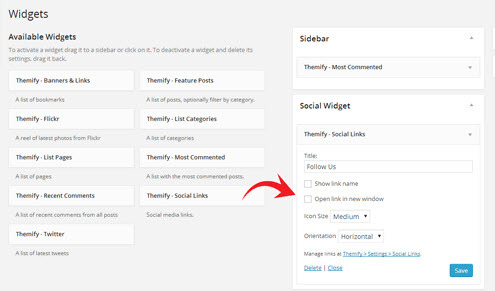 To manage social links, you can go to Themify Parallax » Themify Settings » Settings » Social Links. After the setup, go back to the Widgets page, and drop a Themify – Social Links widget in the Social Widget panel. In the demo page of Themify Parallax, you can see the social widgets in the header. With Themify Parallax, you can upload a custom header background whether it is an image or slider for every page. You can also assign custom menus for individual pages. You can auto-apply various image filters without using any design software like Photoshop. Supported image filters are grayscale, blur, and sepia. The best thing is that an image filter and hover filter can be applied globally or individually. Animated Progress Bars: You can display animated progress bars with any custom color you like. This is intended for displaying yours or your team members’ skill level. You can display progress bar by using its shortcode. Infinite Scroll: If this option is enabled in the Themify Settings, your visitors can navigate to new pages by simply scrolling down the page without having to click on the next page link. The documentation of Themify Parallax walks you through the entire list of features. All of the tutorials are well explained with beautiful screenshots and videos. This theme can be downloaded by making a one-time payment of $49. When you make a purchase, you can download an additional theme as a bonus. If you need the theme’s Photoshop files as well for customizing the design of your site, you can get it for $69. 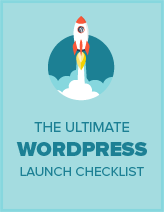 You are allowed to install the theme on as many sites you’d like. To access all the Themify themes, you can join their Theme Club for just $79. Themify Parallax lets you easily build a single page site with parallax scrolling effect. The theme is also shipped with Themify’s drag and drop builder, so you can easily build any type of layouts without having to hire a developer. With Themify Parallax, you can add lots of interactive content with little effort. If you’re concerned about its page load time, you can disable unnecessary animation effects in Themify Settings. If you usually crop images manually, you can disable image script settings as well, which can help to boost the page speed.